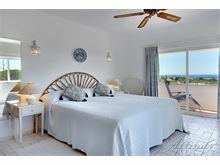 This cherished second home enjoys an enviable location at the end of a quiet cul-de-sac with sea views and is just a 10 to 15 minute stroll to the centre of Carvoeiro, which makes Casa Sumichius the perfect choice for those not wishing to always rely on a car whilst on holiday. 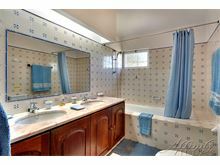 The property is set in private mature grounds with an abundance of well tended trees, shrubs and colourful flowers. 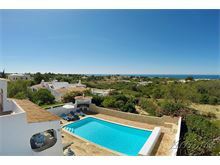 The villa enjoys a slightly raised living space to take advantage of the sea views with an ample covered terrace leading out to steps down to the private pool area, complete with shaded gazebo style barbecue area. 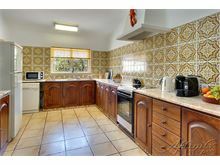 The interior is a lovely mix of traditional Portuguese style with comfortable modern touches. 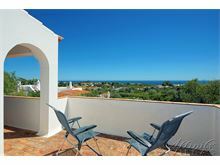 Approximately 1.2 kms from Carvoeiro town centre, shops, beach and restaurants. 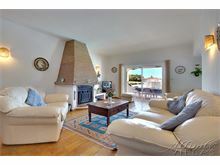 Driveway leads to spacious entrance hall and French doors to open plan living dining area with doors to covered terrace and sea views, wood burning stove and TV. From the hallway leads to the kitchen complete with dishwasher and microwave. On the ground floor are two twin bedrooms, one with access to the pool terrace, plus there is one full bathroom and a further wet room style shower room. 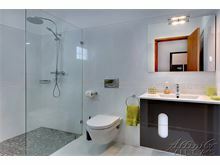 Stairs to the upstairs master bedroom with ceiling fan, doors to balcony terrace with sea views and modern en suite wet room style shower room. Steps lead down from the covered terrace to the pool area with brick built barbecue and fully shaded stone dining table with seating. Washing machine by arrangement with the maid. Maid service 5 times per week. 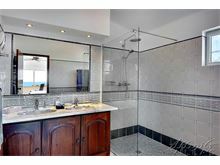 Pool heating, air conditioning (bedrooms only) and WiFi are available at additional cost, if required. After using the excellent directions we were pleasantly surprised by the location of the villa. The pool (although heated at extra cost) was well worth the money and wonderfully warm. The 'maid' was lovely, smiley, helpful although we did not really require her every day - even so thanks to her. We had a fabulous week with splendid weather and will return. 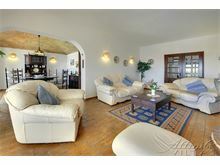 Great location and lovely villa with lots of space for 6 people. Maid service excellent with flexibility to our needs as we had different guests staying with us during our stay. Look forward to returning. 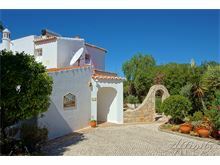 Villa Sumichius is ideally situated for walking into Carvoeiro. In addition there is a great restaurant just round the corner. The pool area is perfect with some shade at all times and a super sea view. We have had two wonderful holidays at Villa Sumichius and will probably return. 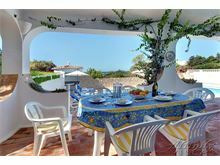 Great location and lovely villa with great sea views. 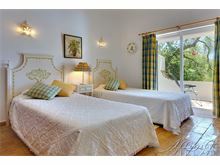 A comfortable, very spacious villa with the added bonus of daily maid service. A large pool and ample sunbeds. 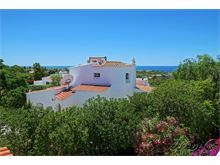 Situated within a very peaceful area with amazing sea views. 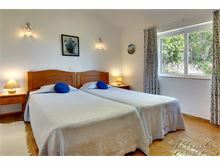 Good location, fantastic views, within 15minutes walking distance to town, taxi fare costs approx 5 euros from centre of town to the villa. Plenty of restaurant choices to meet every-bodies taste buds. 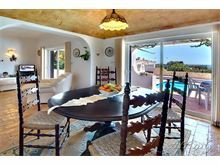 Casa Sumichius is a favourite with us. 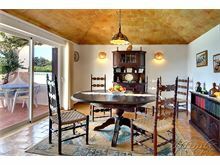 It is more of a traditional villa than many but it's situation is very private and within walking distance of the town and some local restaurants and bars. We have always enjoyed our stays here and will probably return in future. Excellent villa. Very quite, comfortable beds and loads of sun beds and outside seating. Maid service is excellent.